See also video of the Elixir products in action on DigiBarn TV! These products could all run on an original 640K IBM PC/AT system, driving 120 DPI monitors from Sigma Designs. 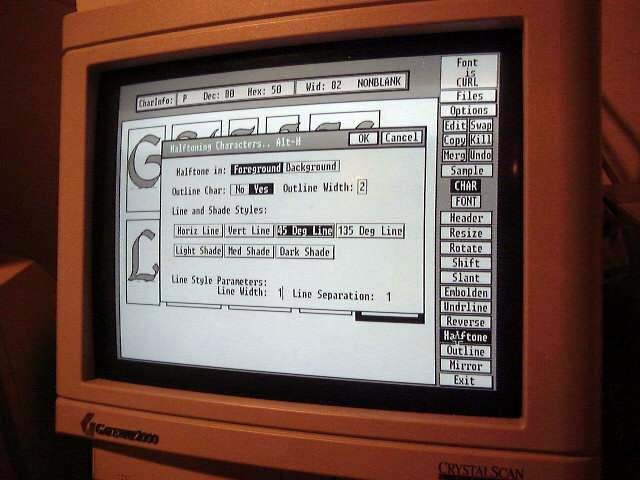 They were built with the GEM (Graphical Environment Manager) from Digital Research (creator of CP/M) and ran as a full graphical OS application shell on top of good old DOS. 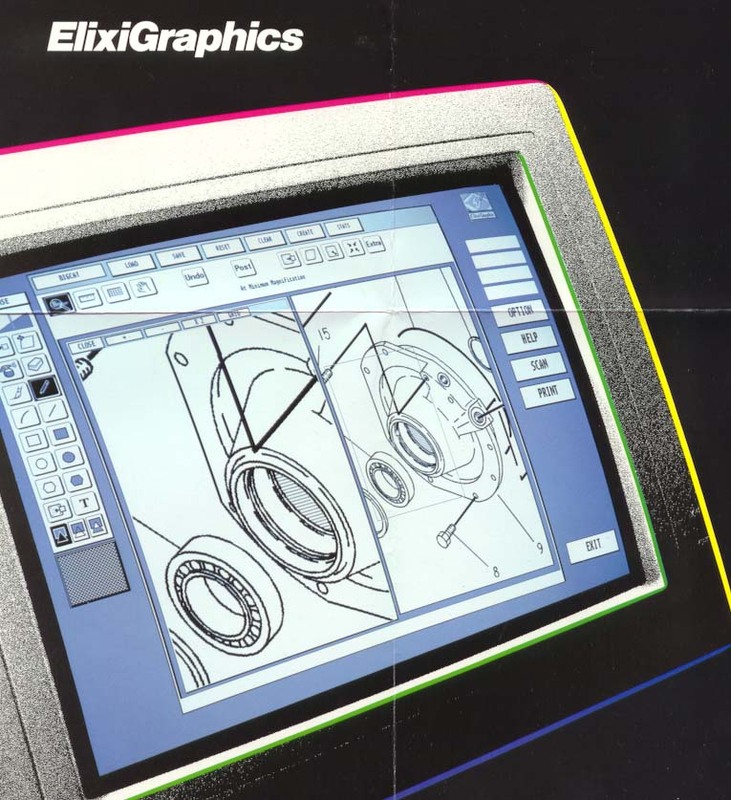 The Elixir Desktop and its applications converted ordinary PCs into graphical workstations to create document jobs for large printing systems from Xerox and other manufacturers, a task the Xerox 8010 Star and Viewpoint 6085 systems failed to do. 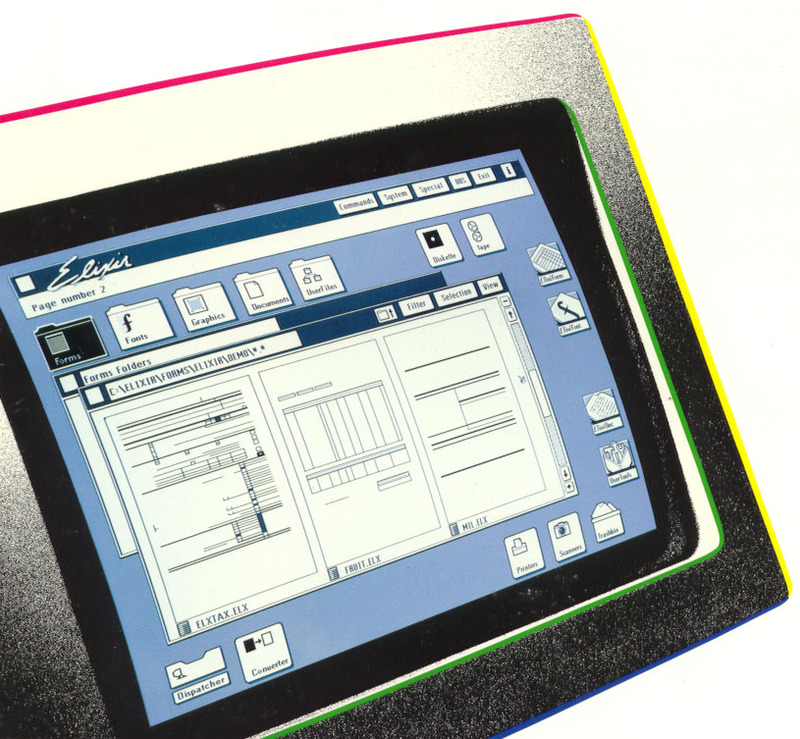 The Elixir desktop was and is the most successful (and one of the only surviving) direct renditions of the Xerox STAR 8010 interface. 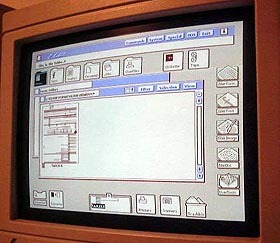 The Elixir Desktop and its associated applications were built using Borland Turbo C driving Digital Research's GEM (Graphical Environment Manager), an early PC graphical user interface platform (touted at its release in 1985 as the "Mac killer"). By opting for GEM on the original AT platform without any special cards (as were used by its competitors such as TyRego of Minneapolis MN), Elixir was assured of a smooth path porting its products to clones and taking advantage of higher speed systems as the 80s progressed. 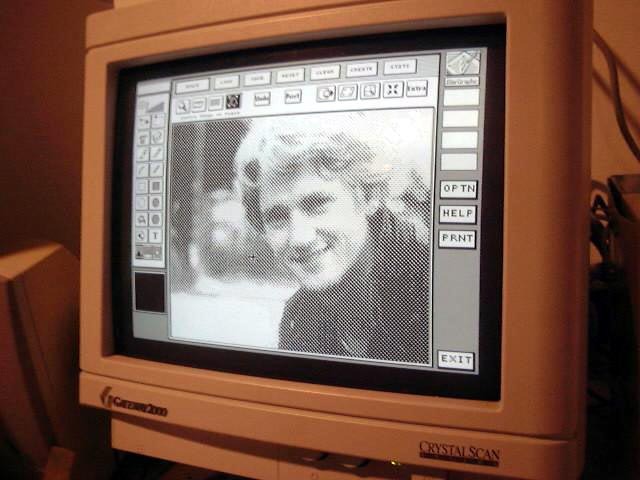 Icons were taken from Star/6085 and scaled up for the higher resolution Sigma and Wyse monitors. I built a complete windowing system and custom icons were designed by Ed Regan of Down East Technologies in Searsport Maine. 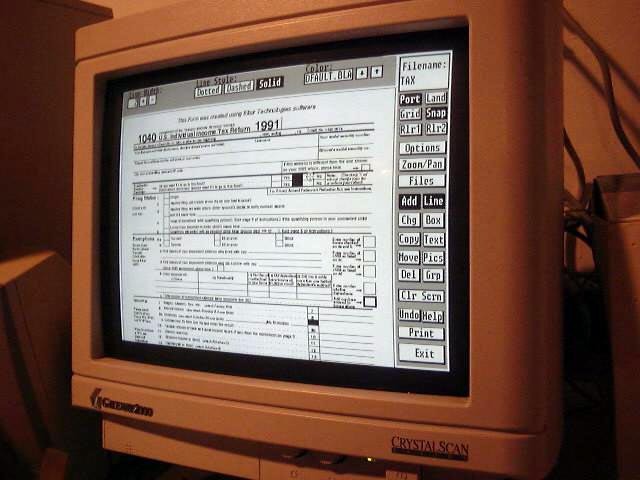 We studied the Xerox 6085, Star 8010, and Three Rivers PERQ (running the Intran MetaForm software) and Apple Macintosh systems to make our decisions in the UI sphere. I decided to implement drag and drop. The direct manipulation metaphor of object copy/move was not fully implemented but Props were. 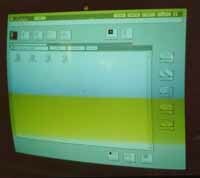 Pulldown menus on both windows and on the whole system extended beyond Star and the Macintosh. The Elixir desktop brought a desktop metaphor and suite of applications to the PC before Windows 3.0 and long before the appearance of a desktop container in Windows 95. Extending to a general object desktop metaphor. 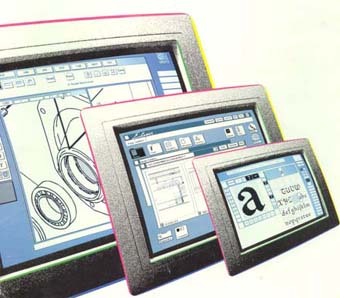 Built to drive the Xerox Docutech system launched that year. 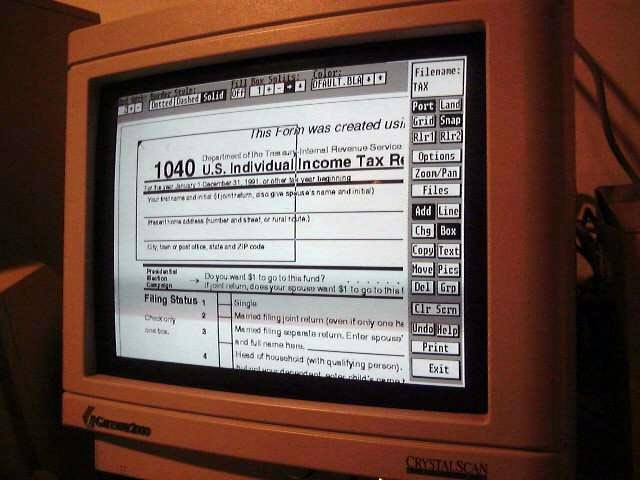 The Elixir desktop served as an integrator of the Elixir applications for forms, font and image creation, Ventura Publisher for long document composition, and numerous DOS applications and drivers for printers, tape drives and specialized floppy disk formats. The Object Desktop featured a job ticket creator to drive the Docutech and other Xerox systems. For those interested in 80s style user interface development, see the Elixir Desktop User Interface Elements Archive (designs by Ed Regan). 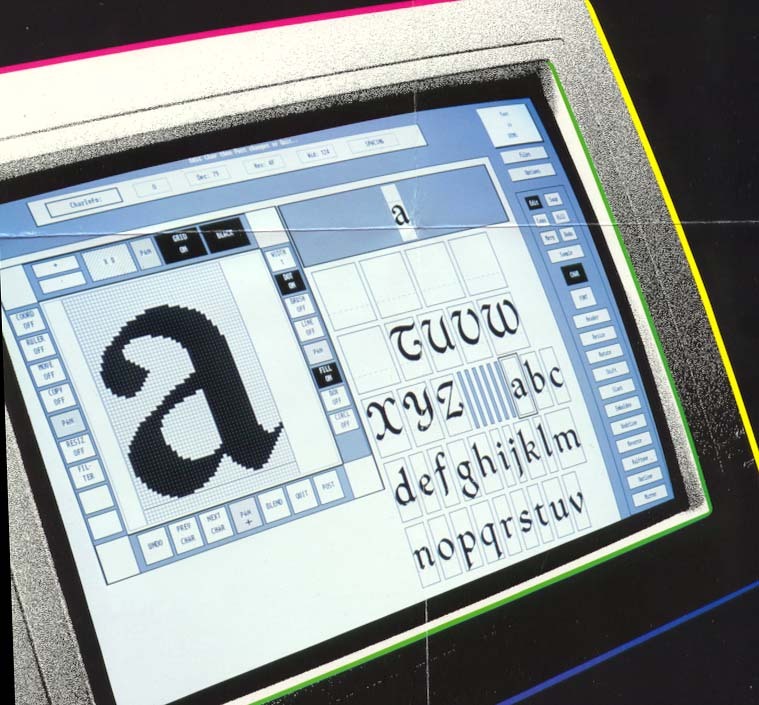 This product was a full featured raster font editor which allowed numerous effects tuned for font sets used on large printing systems. 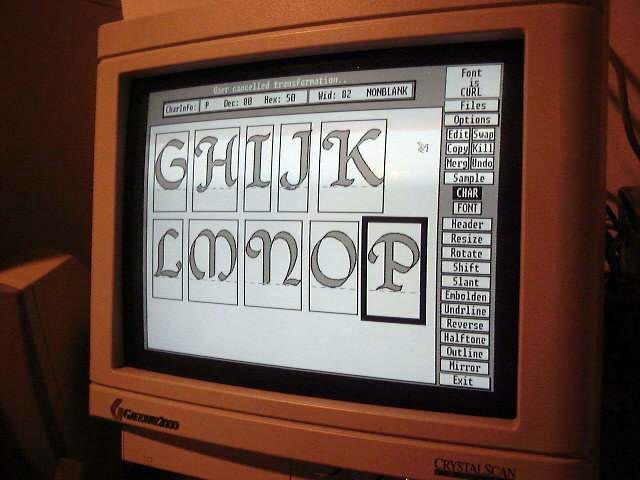 Advanced features such as hollowing, shading and anti-aliasing as well as a robust pixel editor allowed for the creation of many new font character sets. This tool was used to create the very first typeset versions of Inuit and Dene languages in the Canadian Northwest Territories. 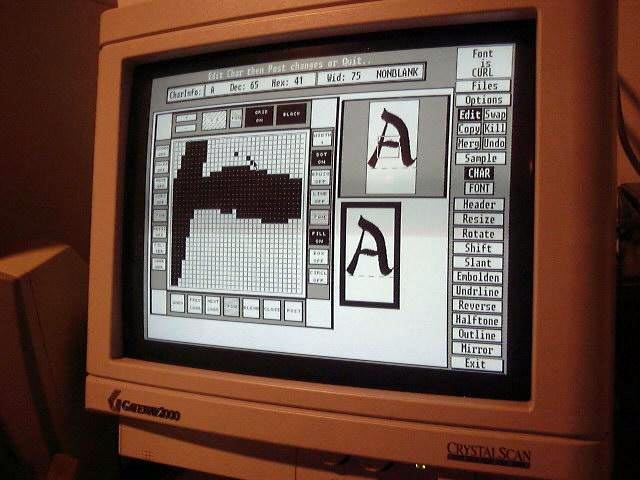 More screen captures of Elixifont/GEM in action can be seen below. ElixiGraphics was a powerful image editor and transformer which allowed users of a basic PC/AT platform to edit and create logos and large images for corporate document production. Shown here is an image from the Caterpillar Tractor catalogue. 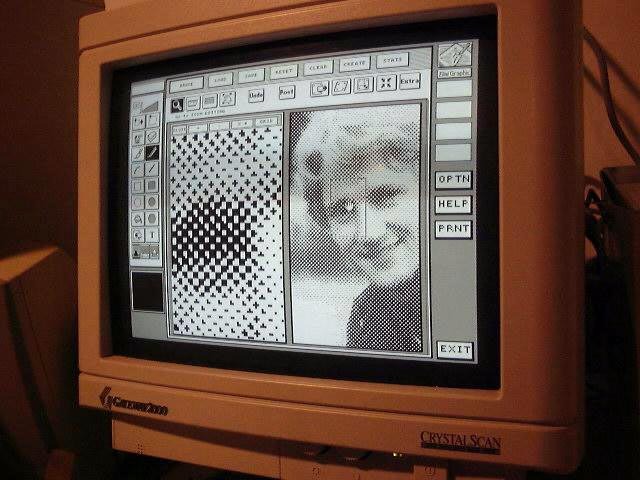 ElixiGraphics implemented an virtual memory system and could handle images of many megabytes on a basic 640K PC/AT. More screen captures of ElixiGraphics/GEM in action can be seen below. 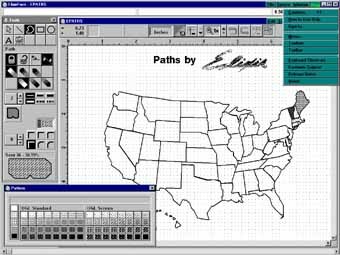 For those interested in 80s style user interface development, see the ElixiGraphcs User Interface Elements Archive (designs by Ed Regan). ElixiForm was the first product from Elixir, written by David Simon and Eric Searle with contributions from others. 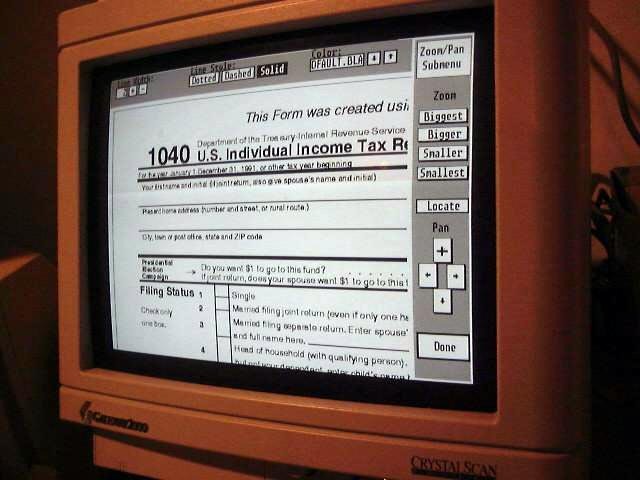 GEM-based ElixiForm was the core product of the company in the early years and like the others, was modeled after the Intran "MetaForm" software series. More screen captures of Elixiform/GEM in action can be seen below. You can see Elixiform for Windows in the next section. 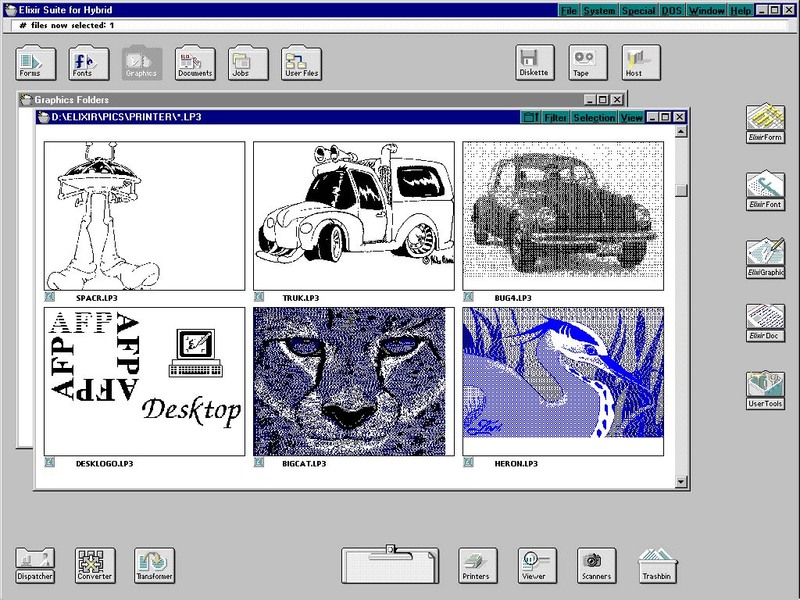 The Windows 3.1 (and now Window 95/98 and NT) version of the Elixir Desktop and applications brings the Star interface into the 90s and 2000s and is the sole direct survivor of the work done at Xerox PARC and Xerox Office Systems in the 70s and 80s. The Elixir products are used today in thousands of companies and institutions in over 100 countries. Other Elixir products will be shown here, once images are available. The Opus document production system is the latest application in the Elixir system, see the Elixir Homepage for details. 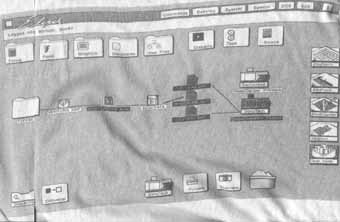 I was involved in the very early design and architecture phases of that product, before I left Elixir to enter the virtual worlds medium (through my company Digitalspace Corporation) in April 1994. Through my experience working with Elixir and Xerox, I had a full course of the 2D graphical user interface paradigm. 3D virtual worlds are a refreshing new frontier. 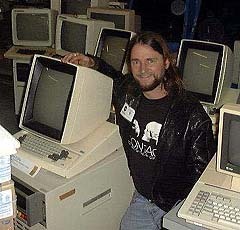 I also started the DigiBarn Compuer Museum in 2001 to document all this and collect the systems that run all the software I so much admired and emulated. Dont forget to see my brief telling of the Elixir Story and..
Video of the Elixir products in action on DigiBarn TV! 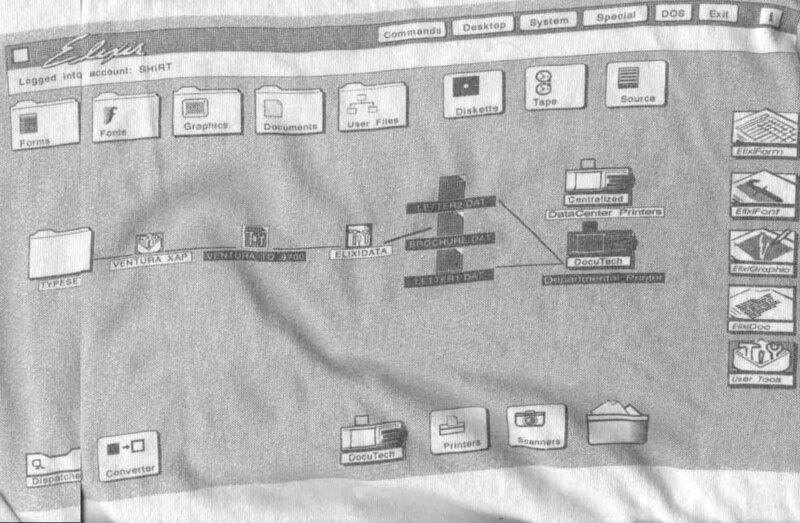 See the Elixir T-shirts over the years!